(Nanowerk News) Using atoms at temperatures colder than deep space, Rice University physicists have delivered overwhelming proof for a once-scoffed-at theory that's become a hotbed for research some 40 years after it first appeared. In a paper available online in Science Express, Rice's team offers experimental evidence for a universal quantum mechanism that allows trios of particles to appear and reappear at higher energy levels in an infinite progression. 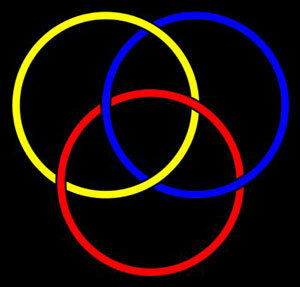 The triplets, often called trimers, form in special cases where pairs cannot. As Hulet points out, there is still no general mathematical solution for the most classic of all "three-body" problems -- the sun-Earth-moon problem. "You can do a numerical calculation, of course," he said. "You can calculate to arbitrary precision what the sun, Earth and moon are doing relative to one another at any given time, but you cannot write out a formula for that on paper. There is no general solution for that or any other three-body problem." What Efimov offered in 1970 was not a general solution for the three-body problem, but it was the next-best thing -- a universal relationship that would hold true for any particle but only under a particular set of circumstances. Hulet said nuclear physicists tried for decades to find experimental evidence of Efimov trimers using nuclear particles, but they found that there wasn't a strong enough attractive interaction between the particles to satisfy the conditions laid out by Efimov. In the 1980s, physicists began using a combination of powerful lasers and magnetic fields to trap and cool atoms to ultracold temperatures. As thermodynamic heat is driven from the atoms, they move slower and slower. That let physicists study atoms in a new way, and as the techniques progressed, physicists were eventually able to remove so much thermodynamic energy from these trapped atoms that they began to manifest the effects of quantum physics. Efimov trimers are one manifestation of quantum physics, and Hulet said a number of research groups worldwide have been racing to study them for several years. The first Efimov trimer was observed in 2006, and the first set of two connected trimers was observed in early 2009. In their experiments, Hulet, postdoctoral researcher Scott Pollack and graduate student Dan Dries designed a test for Efimov's prediction about universal scaling -- the notion that trimers emerged again and again in a stepwise fashion. The team used a property of ultracold atoms called a "Feshbach resonance" to tune the interactions between lithium atoms. As they dialed up and down the energy scale, they saw Efimov's trimers appear and reappear again and again. The team confirmed another Efimov prediction as well by finding four-body "tetramers" in close proximity to each trimer. In all, Hulet, Pollack and Dries found 11 different signatures for trimers and tetramers, each exactly where Efimov and others had predicted. Efimov was in the room when Hulet presented the first results of the tests at a scientific meeting in Rome. "He was so excited that he came up and gave me a high five after the talk," Hulet said. "In his original paper, he had a figure that looked just like what we had found. It was such an amazing prediction, and to see it borne out like this is very special."